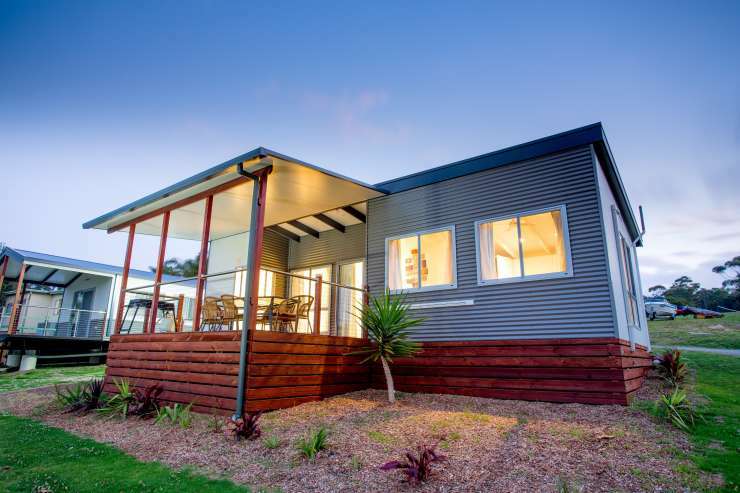 Big4 Wallaga Lake Holiday Park is located 5km north of beautiful Bermagui on the shores of Wallaga Lake. 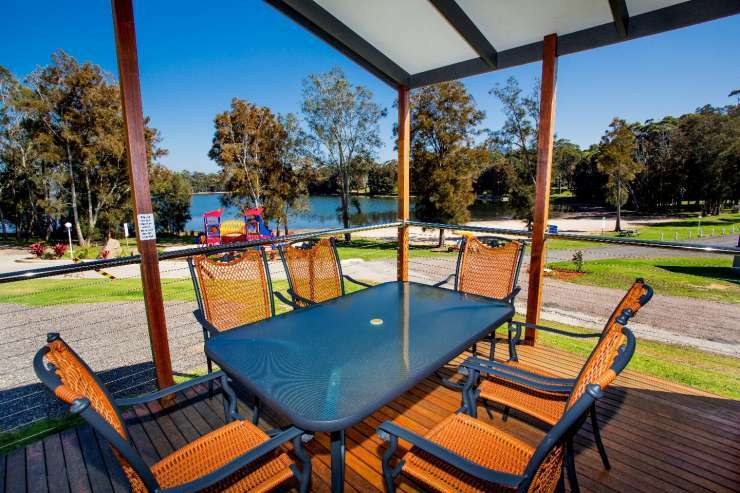 Providing absolute lake frontage for family fun holidays in an unspoilt natural environment. 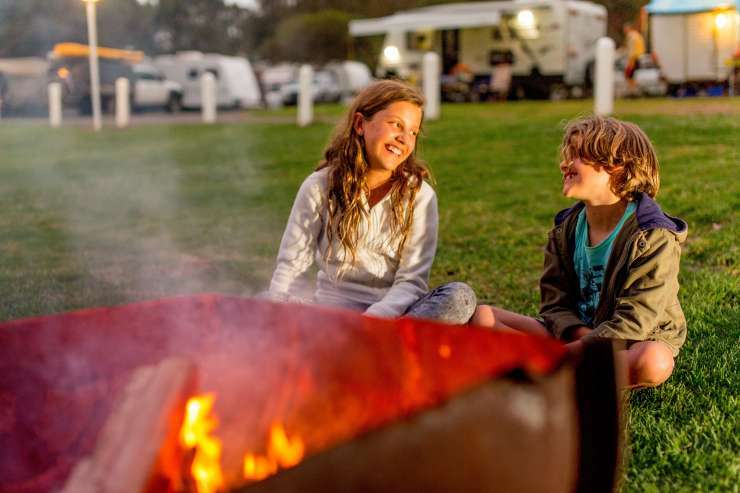 At Wallaga Lake Holiday Park in Bermagui you can decide the type of holiday you want, from camping to caravanning or relaxing in our Bermagui villas. 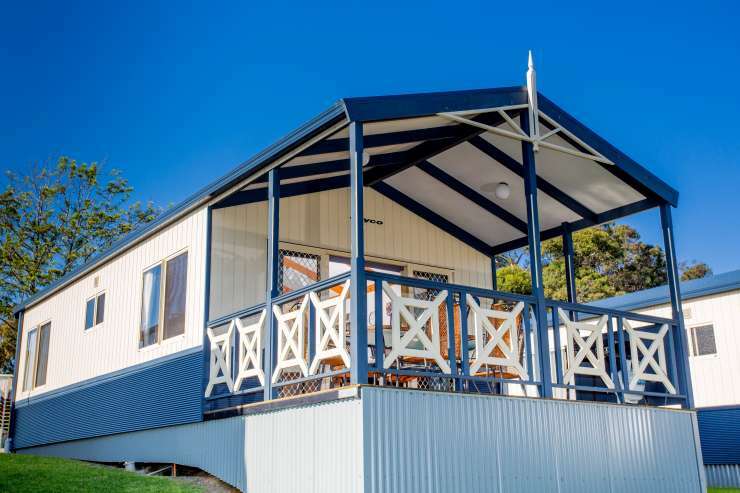 The waterfront location provides the fantastic opportunity for a fun filled and relaxing Bermagui holiday for the whole family of all ages. 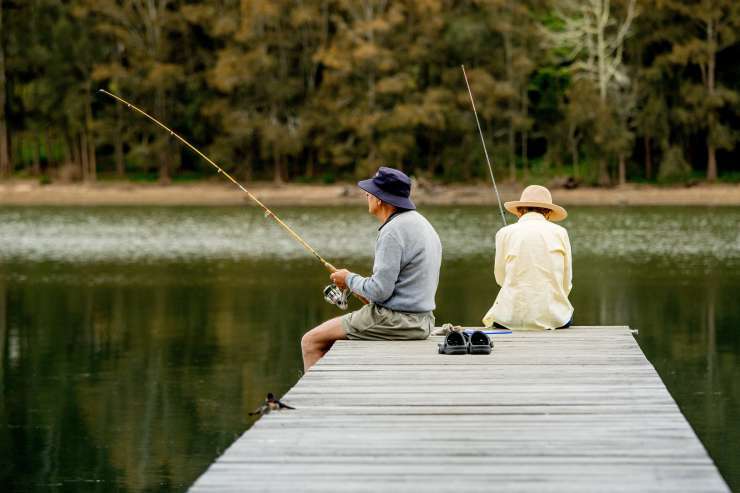 Water skiing, boating, canoeing, sailing and fishing made easier with our own private lake access, boat ramp and jetty. You can also enjoy just lazing around on our beautiful lake foreshore or swimming/surfing at Camel Rock Beach, just minutes away. 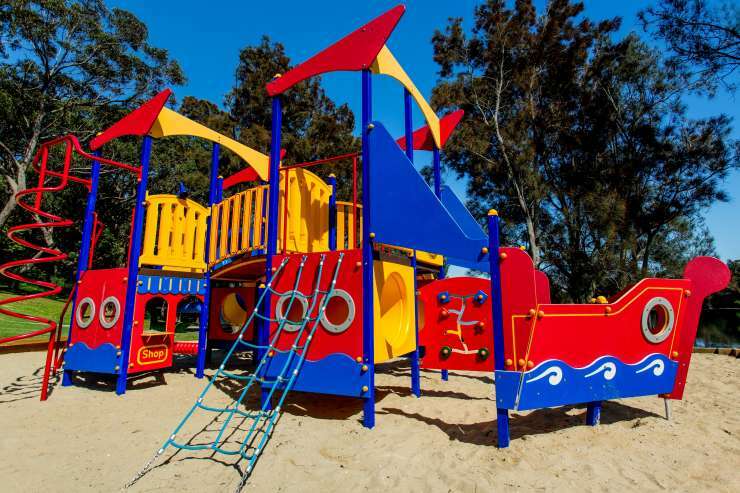 The jumping pillow, playground, swimming pool, tennis court and fishing from the jetty will surely keep the kids entertained. 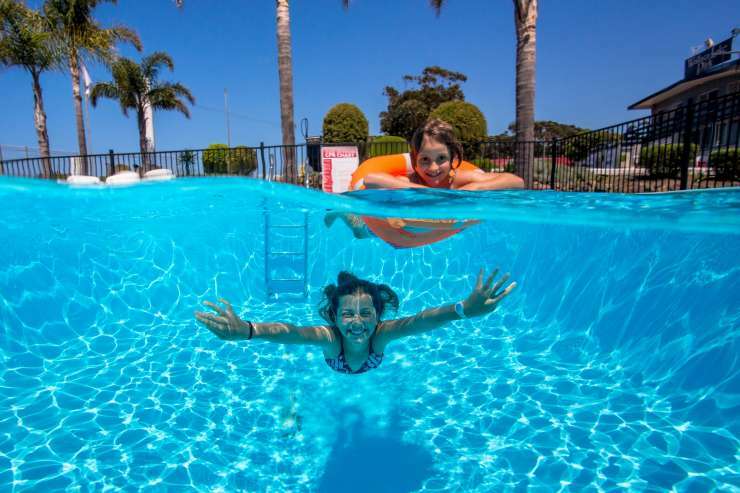 Big4 Wallaga Lake Holiday Park offers the following facilities: Jumping pillow, childrens playground, swimming pool, full size tennis court. Shop - fully stocked general store to cater for all your needs, including petrol, ice, bait, groceries, newspapers, gas etc. Laundry facilities Jetty - great for fishing off, camp kitchen, free BBQ's, open camp fires, boat ramp - If water skiing is your thing then this is the place. 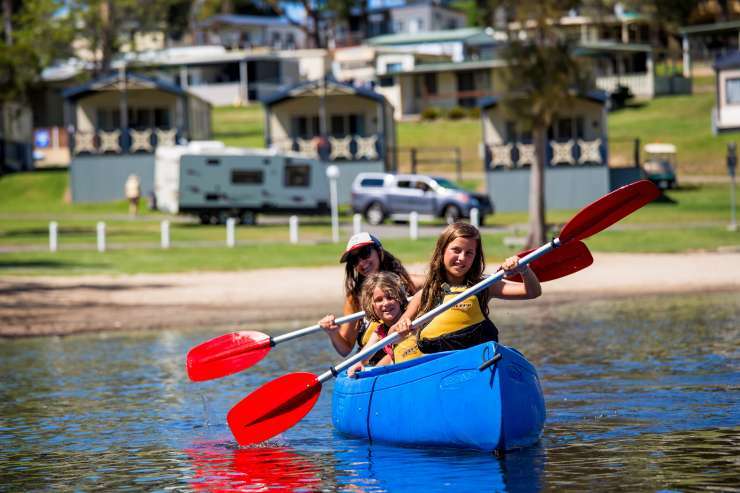 Wallaga Lake offers long stretches of open water for all kinds of water activities. With the added convenience of being able to launch and moor your boat in the park. Canoe, SUP and Tinney hire. Pets welcome (conditions apply-not at peak Christmas and pets not allowed in accommodation at all times).